The Sandgate Hawks AFC is currently looking for expressions of interest from persons wishing to coach teams in the U11, U12, U14, and U16 Youth Boys and U13, U15 and U17 Youth Girls age groups for Season 2018. 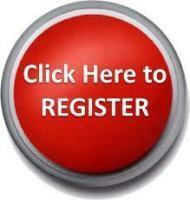 We are also looking for persons to take on roles as Skills Development Coaches. The Sandgate Hawks AFC would like to congratulate the following on their appointment as Age Division Head Coaches for season 2017. 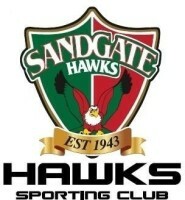 Sandgate Hawks is putting together a plan for the future, and we would love your thoughts. The club has engaged CPR Group to consult with members and help compile the plan. Russell McCracken, Matt Fenn, Jesse Davis, Nick Power, Jack Waterman, Lachlan Enever, Dave Lauchs. The AFL is delighted again in season 2014 to be able to provide the 2014 Laws of Australian Football video. Club member and 18's coach Darren Maynard is on a mission, so lets get behind him and show your support. The Northern Raiders 2013 Presentation night will be held this Friday night the 13th of September at the Virginia Golf Club. Due to inclement weather tonight's Twilight Markets have been cancelled. With over 35 Stalls catering to all your needs include Craft, Homewares, Jewellery & Much More. AGM for the Sandgate Junior AFC and Sandgate AFC will be held on Monday 18th November, commencing at 7pm. Please let everyone know that this meeting is vital, for the continual operation of the Club. Sandgate Hawks welcome the Redcliffe Raptors to Lemke Rd, The Raptors will play their 1st game on Saturday the 24.08.13 starting at 12pm, 2pm,4pm and 7pm. Sandgate JAFC is currently seeking expressions of interest and applications for coaching across all age groups for 2014 season. Beanies for sale....$20, hurry they wont last...!!! The Markets and Movie night at the Hawks is on Saturday the 13th of this month. Starting at 4pm - Stalls selling fashion, homewares, gifts and more will be set up on our oval. We will also be playing new release 'Parental guidance' outside at 5:30pm so make sure you bring a chair, warm clothes and a blanket. Our Under 12 Div 1 side lead by Coach Neal Barlow will face of against Coorparoo at 7.30pm Friday 5th of July. “It is with great sadness that we have learned of the passing of Melissa Weldon a lovely lady, wife, mother and great friend to all. Last Chance Ladies to get your spot on the LADIES WAREHOUSE TOUR...... You deserve the break and why not do it with the over hardworking mums of the club, unwind and relax...!!!!! Round one is now closed as the allocation has been fully subscribed. Junior training is back on...!!! On Wednesday 6 March 2013 at 5pm to 6 pm, Sandgate Hawks Junior training will commence where you will meet your coach/manager and team players. Your patience is appreciated whilst our new Website is under construction. Keep an eye on it daily to see the improvements. ‘Racism. It Stops With Me’. Great numbers at the Hawks for the 2013 Sign On Day. Want to sponsor the Hawks? Get in touch with us today! !